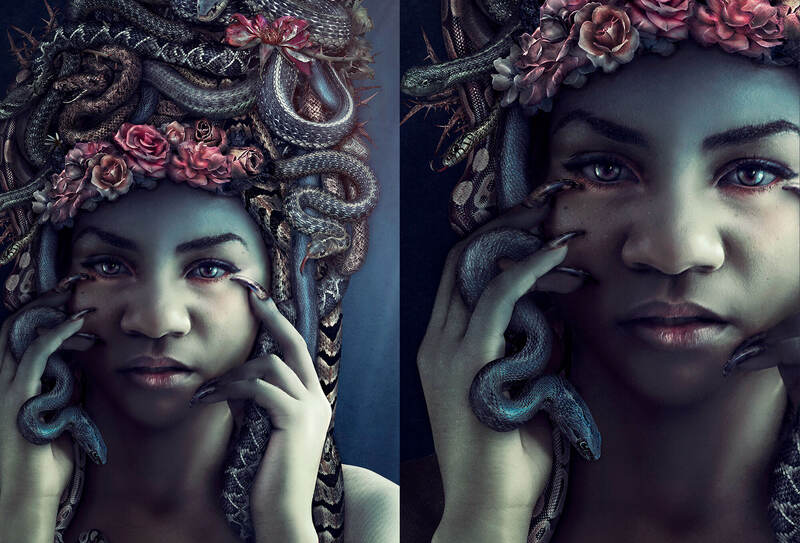 The Pathos of Medusa is a personal project based on a reinterpretation of women in green mythology. The goal in this project was to challenge preconceived notions of beauty through contrasting features that lie both inside and outside modern societal standards. The running notion of Medusa is that the titular Gorgon was not the monster she is portrayed as in mythology. 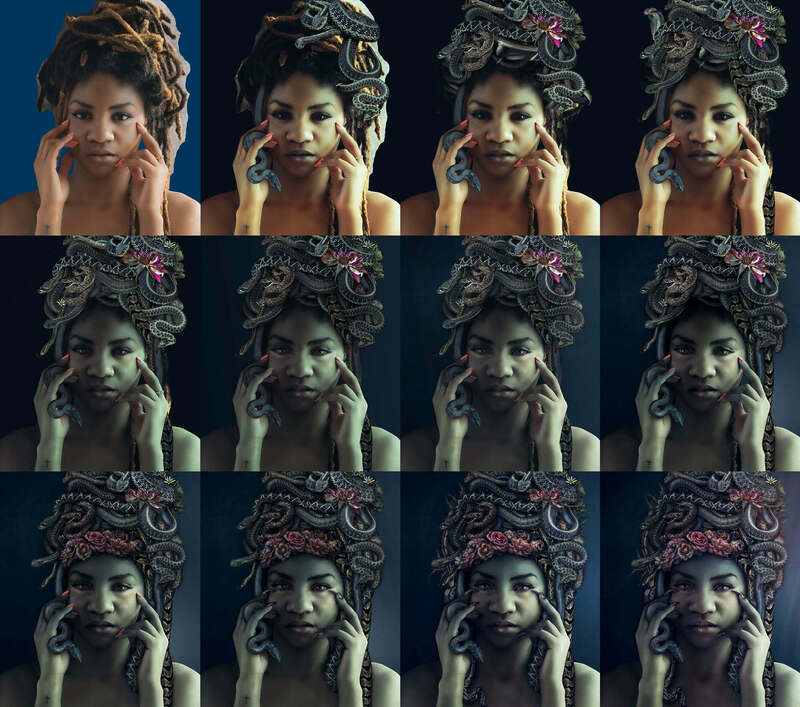 Medusa's snake tresses and withering flower crown were meticulously sculpted from individual stock images. Medusa and her intricate hairstyle was inspired by the model Natt Nyah: a friend, model, and prominent contributor to the natural hair and dreadlocking community on Instagram. O'er the flesh of he who wronged her? For no body turned to stone lay at her feet.